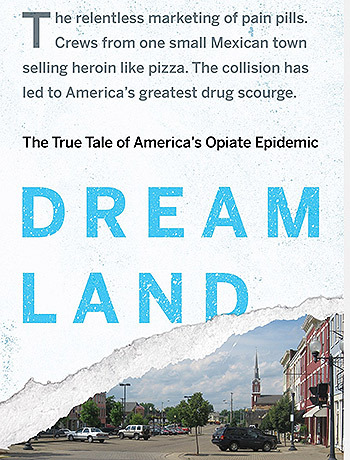 In this article—and probably elaborated in his new book Dreamland: The True Tale of America’s Opiate Epidemic—the L.A.-based journalist writes about a new breed of Mexican heroin dealers who deliver drugs “like pizza” in cities across the Midwest. He uses a nickname for the dealers coined by a cop he knows: Xalisco Boys, for the poppy-growing region from whence they come to the United States looking for a fast buck. I have no doubt the system of low-violence, customer-service-oriented drug dealing that Quinones has studied for several years is real. But the old chestnuts he hauls out in talking about the public health problems caused by the increased availability of heroin in smaller cities deserve comment. Some of his rhetoric matches the creaky, moralistic “wisdom” of an earlier era that many drug-control historians have worked hard to debunk and complexify. Here are three examples. The metaphor of drug users as slaves reaches back at least to the antebellum era, to be later honed by longtime drug czar Harry J. Anslinger and allied newspaper editors such as William Randolph Hearst. “Dope slave” was a favorite headline abbreviation for any opium or marijuana user. 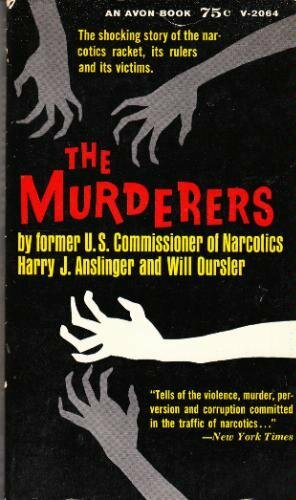 Anslinger’s 1961 book The Murderers: The Story of the Narcotic Gangs contains a chapter titled “Slavery, Inc.” relating how Chinese traffickers used opium to reduce teenage girls to prostitution on the West Coast. Anslinger long promoted the idea that communists were plotting to enslave and undermine Americans with heroin. But the details inspire some skepticism, because again, we’ve heard the free-sample story from law enforcement and the press for decades. Eric Schneider addresses this myth in his 2008 book Smack: Heroin and the American City, showing that users received their first doses from friends and relatives, not drug dealers. In postwar anti-drug literature now considered quaint and even hilarious, the drug dealer is often a predator who draws in unsuspecting victims and later refuses to get them high for free. Finally, according to Quinones’ analysis, prescription pills are the new gateway drug. Mexican heroin dealers stumbled into a Midwest primed with a ready-made population of addicts who had been overprescribed opioid painkillers; those who had abused their pills, or had unsuspectingly become addicted, easily transformed into heroin customers. Medical use of painkillers is thus a major target for Quinones, much as marijuana aroused anti-drug crusaders at midcentury. This reasoning suffers from the same weaknesses it did then, primarily that correlation is not causation. Most heroin users have indeed abused pills, and probably did so before they tried heroin (given that heroin is usually injected). That junkies had almost always used pot before heroin has long been an important and effective, if fallacious, argument against marijuana legalization. Now its updated version frequently deprives ailing patients of the legitimate medical use of painkillers and subjects doctors to time-consuming oversight that constrains their treatment choices. There is definitely a serious U.S. drug epidemic, evidenced as Quinones says by corpses, not crime rates. High rates of drug use in the United States are certainly, as he implies, an unsavory feature of consumer culture. But I wonder if his sources skew heavily to law enforcement and drug-control officials who are steeped in traditional explanations of why people use drugs and how they get them. Certainly his prescribed remedies—developing a “spirit of self-reliance,” taking “accountability for our own wellness”—seem, for want of a better term, old school. Based on the preponderance of tired and unhelpful tropes, Dreamland will remain at the bottom of my reading list. Next Post → Will I Be A Dope Doctor When I Grow Up? You’ve covered everything I was thinking as I read that ridiculous piece. I almost couldn’t finish reading it and actually had to double check I was reading the NY Times – I expect better from them. You even called out the specific parts that really ground my gears: the “quivering slaves” BS, the un-American-ness of becoming addicted, and the naive and unhelpful advise on how to deal with chronic pain (eat better! exercise!) and addiction (strengthen your willpower and self-reliance!). The idea that these dealers are giving out freebies is laughable. What is this – Reefer Madness? And with his railing on the pharmaceutical industry, I was surprised there was no mention of the 2010 OxyContin formula change that made a HUGE impact on rates of heroin use. Thanks for putting into words what I was already thinking. Hopefully enough folks come over from that article to read this that they might get a more balanced view on the subject.